This WSJ graphic from the same article, gives an indication of the problem. There are fewer unemployed manufacturing workers available for each open position and new manufacturing processes require a higher-educated workforce. That is a hard match to find. GSG is not in the business of job placement for mattress manufacturers. However, we can help. The key is multi-tasking machines that maintain better uptime operation and demand little skilled training. This way you can improve your productivity rate by getting greater product from fewer required workers per hour. High-speed 1600 RPM production with easier maintenance burden. 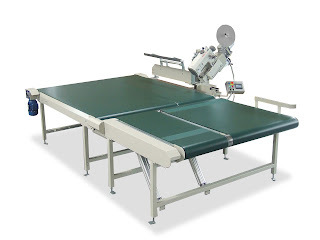 Mattress border, measure cut machine automatically measures and cuts stored border product sections. Creative handle sewing system with computerized efficiency. Manufacturing staffing conditions are not about to change anytime soon. So if you're experiencing a tough time keeping a qualified workforce in place or fear the thought that you may have to replace lost skilled labor in the future, prepare now. Visit the Global Systems Group website to see all our mattress production machines designed to help with 'Help Wanted' issues. "...Modular smartphones have generated great enthusiasm in the tech community for their potential to prolong the lifespan of a device and reduce electronic waste. But the devices are difficult to bring to market because their interchangeable parts make them bulky and costly to produce, said analyst Bob O’Donnell of TECHnalysis Research..."
Modular designs can be a great product for customers, but a great headache for manufacturers. A balance between practical product diversity and affordable costs must be struck in order for such a design to succeed. Equally important, as Google has experienced, the interchangeable components can't be so cumbersome that the user is reluctant to use them. This balance of practical components and affordability is exactly why our modular design has enjoyed great success. The Porter BMS-1500 Border Modular System consists of a single border-sewing machine framework with a variety of optional interchangeable components to produce up to 9 popular mattress border styling elements. Obviously Google has been dealing with modular designs consisting of an array of different challenges, so we don't dare make direct comparisons with their project. 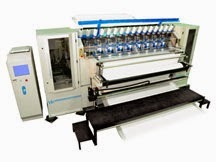 But mattress manufacturers also seek product diversity and a need to extend the usefulness of machines. GSG has embraced those customer needs and delivered a working modular design and continues to develop more as we move forward. If you need affordable flexibility in your mattress border designs, GSG has the machine for you - along with several modular options! "British manufacturing staged one of its sharpest rebounds on record in August, a post-Brexit surprise that could prompt the Bank of England to rethink the need to cut interest rates again if other surveys confirm the trend. The recovery far outstripped all economists' forecasts, delivering the strongest signal yet that Britain's economy is performing better than initially feared after the June 23 referendum vote to leave the European Union..."
UK manufacturers have proven that you can't stand still and wait out pessimistic market sentiments. Individual manufacturers overcome negative macroeconomic conditions by taking positive initiatives in their own production plans. But being paralyzed by uncertainty rarely creates the rebound so many individual manufacturers need. GSG is proud of our UK-based Gateway Systems. 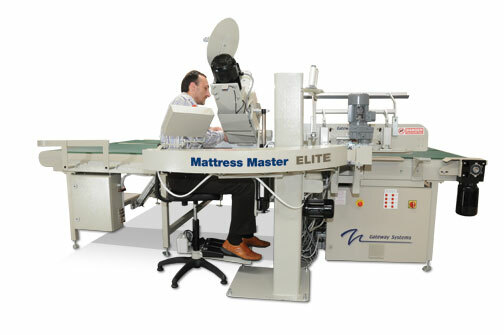 Over 50 years of innovation has developed the most advanced line of tape edge machines in the mattress industry, the Mattress Master series. 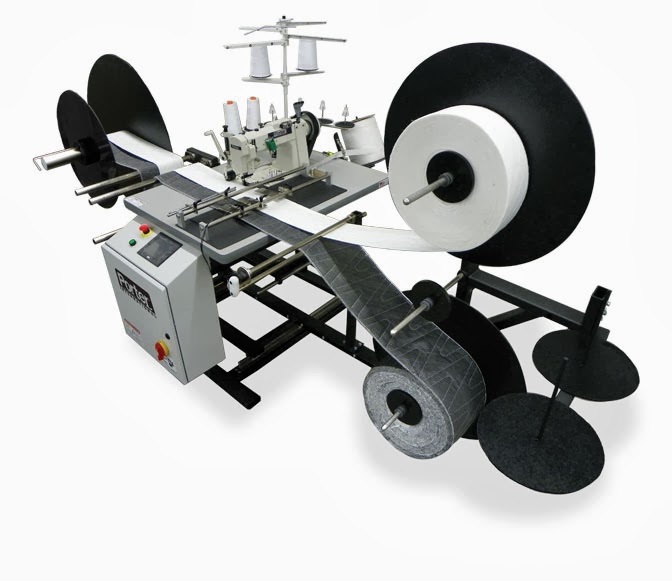 Give your own tape edge operation a rebound in productivity with one of these machines. Another mattress style enjoying a recent rebound is tufting. Mattress customers find the luxurious stylings of lush, hand-crafted tufting very appealing. 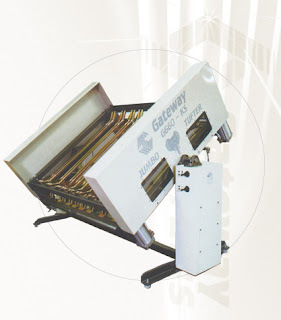 Gateway Systems offers one of the most efficient options for this process with their GS-660 Jumbo Tufter. Here's more incentive to act now - due to the Brexit effect, the Sterling Pound value is still near the lowest it's been in the last half decade.So take advantage of that now before more positive UK economic news turns that around!